Alpers, A, Gardner, R.J, König, S, Pennington, R.S, Boothroyd, C.B, Houben, L, … Batenburg, K.J. (2013). 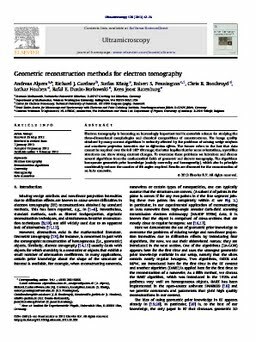 Geometric reconstruction methods for electron tomography. Ultramicroscopy, 128, 42–54.